Restaurant Owner to Robbers: "We're Busy. Come Back in an Hour"; They Do! The Meskins in our story, Mario and Domingo, were sitting around the hacienda one day slamming down some cheap tequila (the kind with the worm in it) when boredom overtook them. They were bantering back and forth trying to figure how they could spice up the night. Mario: "Hey, Domingo. This El Cheapo Tequila tastes like burro piss." Domingo: "That's because that is burro piss. The El Cheapo is in that bottle over there." Domingo: "Boredom has overcome me, Mario. Whatever shall we do?" Mario: "I have an idea, Domingo! Let's hop into the '64 Chebby Low-rider, vamoos from the barrio, go find a Gringo Restaurant and commit a felonious act such as armed robbery!" So Mario and Domingo had another shot of El Cheapo and headed out into the Windy City in search of a White Guy Restaurant to knock off. They found one - The Clifton Grill. They go inside and tell the owner of the eatery, "I will kill you, I have a gun with me." To which the Restaurant Guy responds, "I'm busy, can you come back in an hour?" Mario and Domingo said, "Si, Senor". The Dos Pendejos left and returned an hour later demanding $100 and food. Have I mentioned that the "gun" Mario and Domingo claimed to have was a toy squirt gun? The two were then greeted by the local constabulary and unceremoniously escorted to the County Lock Up where they will undoubtedly be playmates in a nice game of 'Hide the Chorizo" with other Meskin inmates. They were just doing the jobs that Americans won't do. I love that there will always be another in a long line of dumbasses to make my day. Thanks, Teri! A guy n Twitter said the story is racist. This makes me feel so much better about my life! 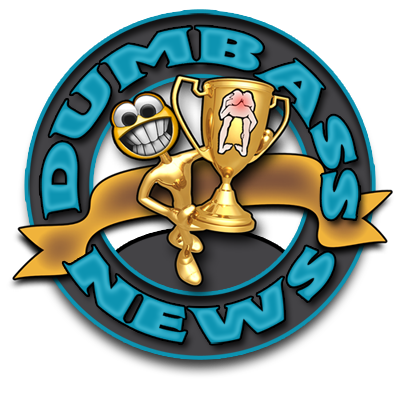 Viva dumbasses! I am the Zig Ziglar of Dumbasses. You know, at least they were Dumbasses with manners, obliging the owner's simple request and all. That's the problem with the world today--all these new Dumbasses who are just rude. Back in my day the Dumbasses knew how to say 'please' and 'thank you' and would hold a door open--until you got to it, then they would shut it in your face. But it was the thought that counts. Exactly! Maybe I should come up an "Etiquette For Dumbasses Guide".